Around 5 pm on May 3, 2015, Neil Parikh got the fateful call. It was a Sunday and he remembers watching an IPL match between Mumbai Indians and Kings XI Punjab. The call was from Rajeev Thakkar—chief investment officer of PPFAS Mutual Fund—who was in Omaha, US, with Neil’s father Parag Parikh, chairman and CEO of the fund, to attend the annual general meeting of legendary value investor Warren Buffett’s firm, Berkshire Hathaway. Thakkar informed Neil that there had been an accident and that his parents, Parag and Geeta, had been admitted to hospital. His father was unconscious, he was told. Neil, now 35, did not panic. After all, his parents had gone to see Warren Buffett, a man Parag Parikh deeply admired. He didn’t believe anything could go wrong. But when Neil told his wife Khushboo that there had been a minor accident involving his parents, she asked him to immediately get more information about the mishap. Neil tried calling Thakkar, but couldn’t get through. Thakkar, who had been driving the car that was involved in the accident, was caught up in police inquiries and hospital formalities. It was 3 am by the time he managed to get in touch with Nebraska Medical Center and got the news that his father was no more. His mother was in a serious condition. When the founder of a firm passes away, the first responsibility of the new head is to bring stability to the organisation by communicating with clients, trustees and partners. “I suddenly realised I was the head of PPFAS Mutual Fund and that the next morning, I would have to go to my office and take care of all the responsibilities without shedding a tear,” recalls Neil, CEO and director, PPFAS Mutual Fund, who was then vice president, client relationship. He spoke with Thakkar and “the first thing we decided was to call a meeting of the trustees and the board members and then communicate to the world that Parag Parikh had died in an accident”. He remembers he had to make around 200 calls to tell all the stakeholders that his father was no more and that his mother was battling for her life in another country. He then rushed to the US to complete the formalities. There were around 200 Indians at the funeral in the US, he says. “I did not know any of them. They were just there because of the goodwill of Parag Parikh,” says Neil, who returned to India in a week to take care of the business. The fund has only one scheme called the Parag Parikh Long Term Value Fund, with a total corpus of Rs750 crore. The scheme is a multi-cap equity fund that can invest up to 30 percent of its corpus in overseas securities. Neil’s biggest challenge was to ensure the value system of the organisation does not get eroded and the business remains on the growth path. And so far, he has succeeded in his attempt. Over the last two years, the number of clients has grown by 70 percent and he has added a new distribution strength, at the same time sustaining growth of the business which has been profitable since its inception. For the financial year ended March 2017, the asset management company (AMC) had a profit of Rs6 crore. This is considered significant because apart from the top 20 companies in the AMC business, most of the others struggle to make a profit even though their AUMs (assets under management) are greater. Today, the top holding of the fund is Alphabet Inc (Google Class C), HDFC Bank and Bajaj Holdings & Investment Ltd. Over the last three years, the fund has returned 14.92 percent against the Nifty 500, which has returned 13 percent annually for the same period. In the last year, though, the fund has underperformed the market by returning 18.51 percent against the 23 percent for the Nifty 500. Many analysts feel the call to go for international equities has not worked well for the fund. It’s a question Neil is constantly asked: Why, at a time when the market is trending high, is this fund not performing? But he is unperturbed by such queries. “Isn’t this something my father would do? Staying away from a market where the valuations are high and not participating in the most fashionable names that are trending at high PEs?” says Neil, who had seen his father advising clients during the high markets before the dotcom crisis. Parag Parikh at the time managed a portfolio management scheme (PMS)—to stay away from software stocks that were trading at a PE multiple of 100 times in 1999-2000. He lost many clients during that phase, but then the markets crashed and the same clients returned to him. It was one of Parag Parikh’s strengths: To not get swayed by the noise in the market and to follow his own philosophy of value investing. 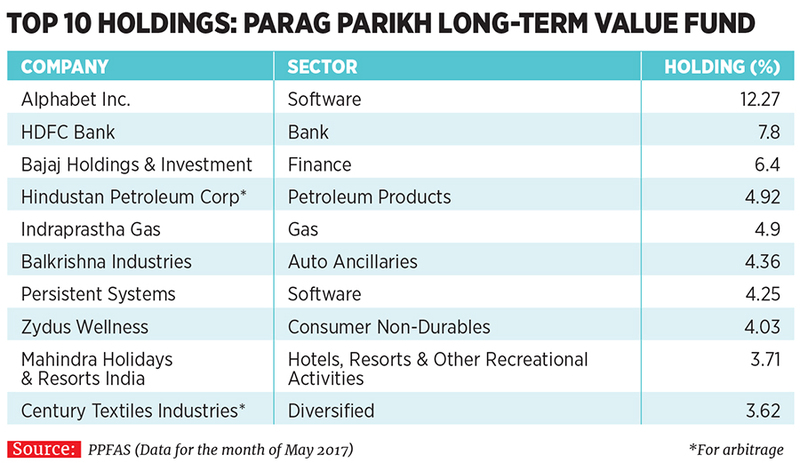 Parag Parikh, one of the earliest value investors in the Indian market, had been managing a PMS since 1996; this had one of the lowest ticket sizes—of Rs5 lakh. In 2013, when new laws came into effect stating that investors into a PMS should have a minimum investment of Rs25 lakh, he decided to convert his scheme into a mutual fund business. He wanted to remain true to his ethos of creating wealth for the middle-class instead of going for high net-worth or rich investors. His confidence was evident in the fact that he even encouraged his employees to invest in the scheme. Neil, who started working with his father in 2004 across various departments, picked up many lessons along the way. In 2004, PPFAS was a broking firm with a small arm dedicated to investment advisory services and a PMS. Neil recalls that some of his friends had made a quick buck in the market, which was in a bull run. When he told his father he too wanted to play the market—buy stocks and make some quick money —Parag Parikh told him he would end up losing because he did not understand the pitfalls of short-term investing. “I hope you lose money as quickly as possible. It is only after losing money that you learn more about the markets. This way the market becomes your best teacher,” he remembers his father telling him. It didn’t take long for Neil to lose his money. When he gave his father the news one evening over dinner, he educated him about value investing and since then, Neil is a convert. This also means he learnt to be patient: He is now ready to hold on when some of the investments in his funds do not perform. He knows he only has to wait and watch as the tide of the market ebbs and flows. PPFAS also believes in diversification where it can give above-normal returns by taking lower risks. “We are not doing any market timing, but are in the business of asset allocation which provides stable returns in various market conditions. Our investors understand our fund philosophy,” says Thakkar, 44, who does the heavy lifting related to the management of the fund. The key words are long-term value investing. The fund’s approach has always been to take a long-term call on equities. Here, the fund manager does not play momentum, but rather stays true to his core philosophy of investing in businesses that are solid and have predictable cash flows. This is an approach Neil is sticking to. The past two years have been tough and the memory of the first few days at the helm is still fresh in his mind. He was told that he was too young and inexperienced to run the business while some even advised him to sell it. But he wanted to take his father’s legacy forward. Parag Parikh had big dreams for the mutual fund business. He wanted to take the fund to tier 2 and 3 towns and sell the fund to people who had never even heard of equities. But he was not interested in partnering with anybody. Neil decided to act along the same lines. “Neil brings a natural gravitas to the business. 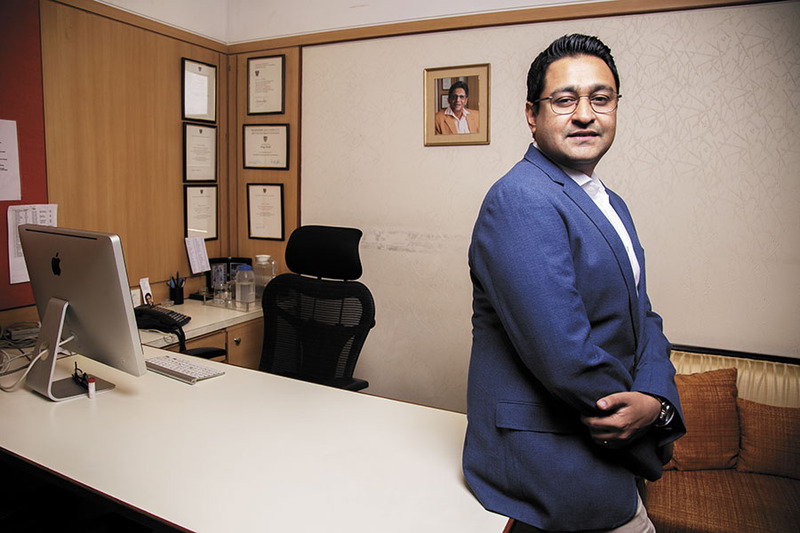 He has his father’s sense of purpose in him and he carries Paragbhai’s legacy on his shoulders comfortably,” says Vikaas Sachdeva, CEO, Enam AMC. Neil is conscious of the fact that he has big shoes to fill. While Parag Parikh had the personality to take the fund to any new town, Neil, for now, is sticking to Mumbai, Delhi-NCR and Bengaluru because he believes he understands the customer base better and there is plenty of room to grow. He also knows that the present corpus of the fund would probably have been multi-fold if Parag Parikh was still around. But the size, he says, is not really important as long as he is chasing a profitable AUM. “I don’t mind growing slow. I’m not going to pay high commissions for growth. We are fine with slow and steady growth. We might take time, but then, we have all the patience,” he says, sitting behind his father’s desk where the only change, besides the fact that his father’s yoga chair is gone, is a computer. Parag Parikh never had a computer on his desk; Neil does. He believes in using technology to grow the business. “We look at ourselves as an ecommerce business. Everything is driven by technology and nobody wants paperwork and that is how it is going to be in the future,” says Neil, who launched the mobile app of the fund in May 2017 and is now working on a web-based app to on-board distributors and clients.